Our homes are more than just steel and wood. They represent a place of belonging, a place where we rest, gather and make memories. We've recently spent more time thinking about our home, and how it can reflect our values. We want a home that allows us to reduce our environmental footprint and live more simply, while at the same time being a space where we love to spend our time. These 11 homes inspire us with their future focused attention to simplicity, design and care for the planet. 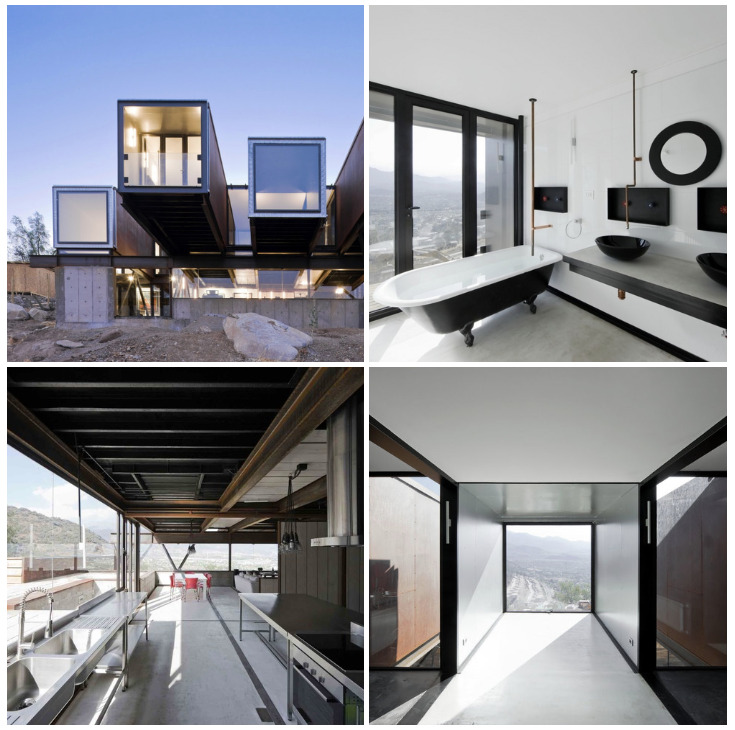 The caterpillar house was designed by Sebastián Irarrázaval using 12 recycled shipping containers. The structure brings together unexpected uses of recreational and community space with some very impressive views. The home is cooled using a passive cooling system, using cold air coming down from the Andes Mountains to avoid the need for air conditioning. 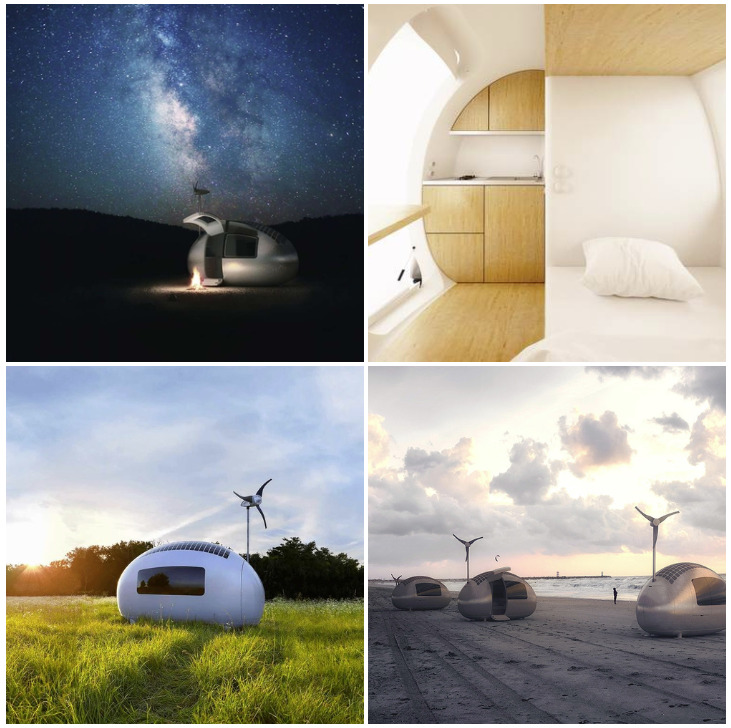 The Ecocapsule was designed as an independent alternative to settling down in one place. The design uses solar, wind and rainwater to allow for off-the-grid living from anywhere. You’d have to live without a white picket fence, but something about this idea provokes some serious feelings of wanderlust. From the outside The Curved House has an unassuming posture that evokes curiosity. Once inside though, the home shines with distinctive character and thoughtful placement of community spaces. The home was designed by Hufft Projects an architecture firm that has quietly built an impressive portfolio of modern designs in the heart of America. The Kansas City based firm considered sustainability at every phase of designing The Curved House, most notably with a solar array on the cabana roof, a geothermal system and radiant floor heating. Method Homes is known for their sustainable prefab concepts. 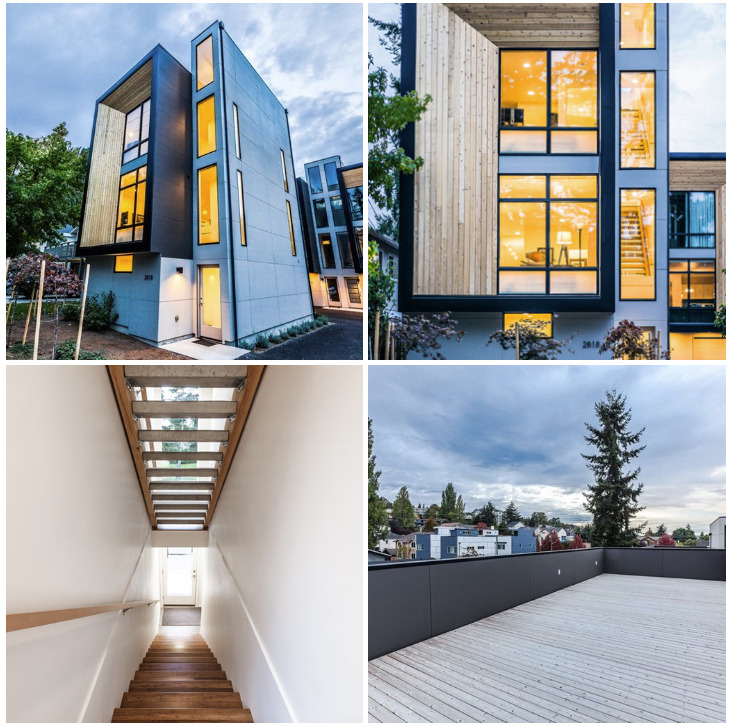 This series of modern three-story town homes brings a kind of livable futurism to West Seattle. Prefab construction allows for drastic reduction in material waste and gives Method the ability to efficiently integrate LEED, ENERGY STAR and Passive House standards into their projects. The Meera Sky Garden House connects design to nature through four stories of of brilliant architecture and tranquil gardens. The Singapore home was created by Guz Architects, best known for their use of sustainable materials and commitment to increasing the use of gardens to break down the transition between indoor and outdoor spaces. 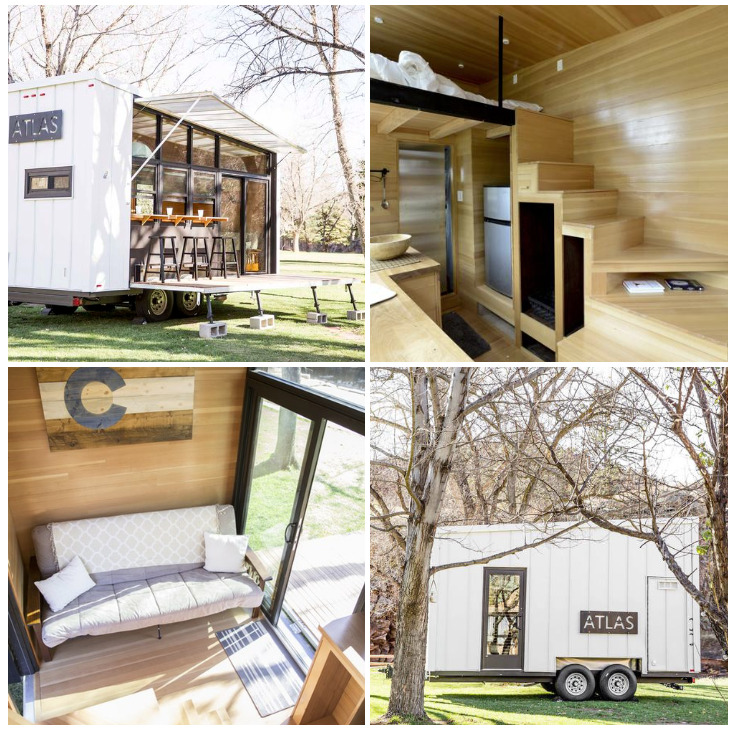 Atlas blends the idea of tiny home minimalism with the draw of independence through this solar powered mobile house. The F9 Productions design was inspired by the desire for a mobile home with greater visibility of the great outdoors. The modern interior opens up to a full wall of windows while retaining a comfortable style. One of Atlas’ unique draws is the coffee shop like bar stool station and the foldout patio that creates community spaces outside the home. 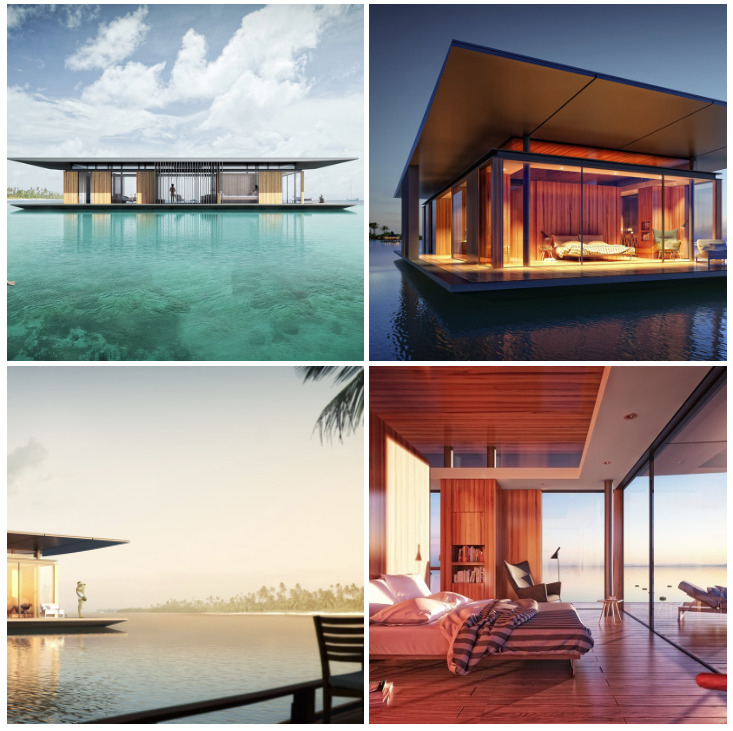 Floating house brings luxury design and pure fantasy together in their minimal design. The house was designed with the highest standards of sustainability and the idea of seamless connection with nature. 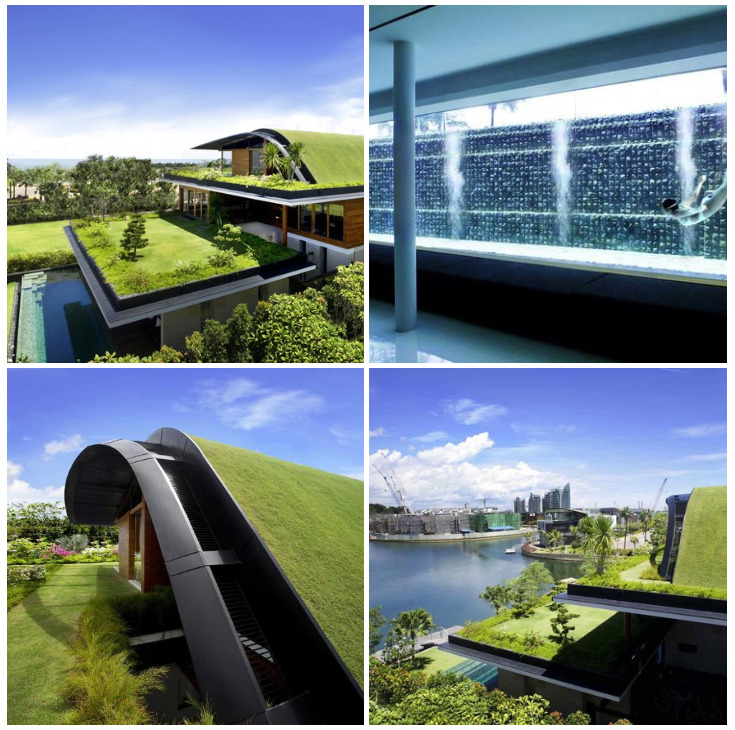 The home was architected by Singapore based Dymitr Malcew. 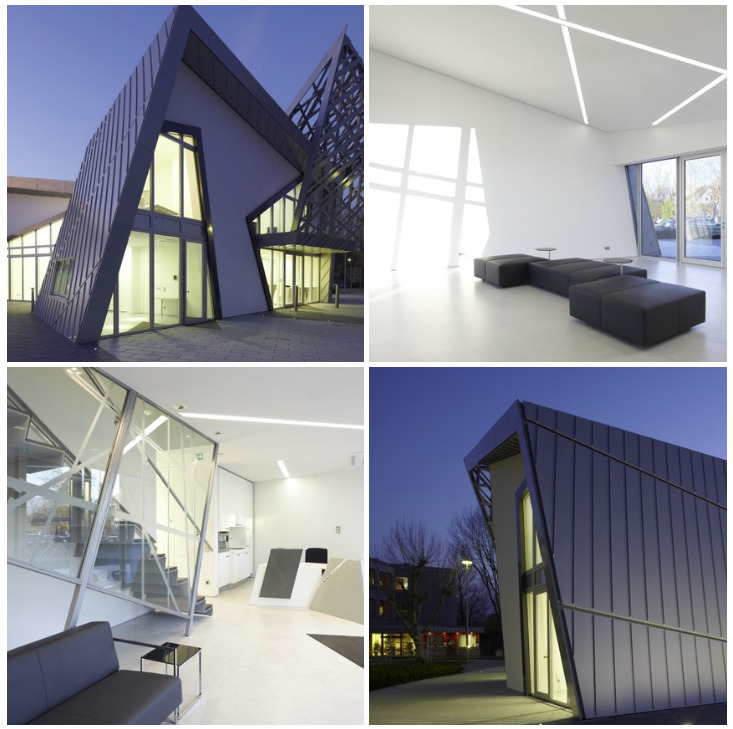 Malcew's designs include imaginative takes on sustainable office, retail and residential spaces. Minimod is designed to create a connected experience to the environment that it is placed in. The simple design can be placed in almost any environment with minimal environmental footprint. 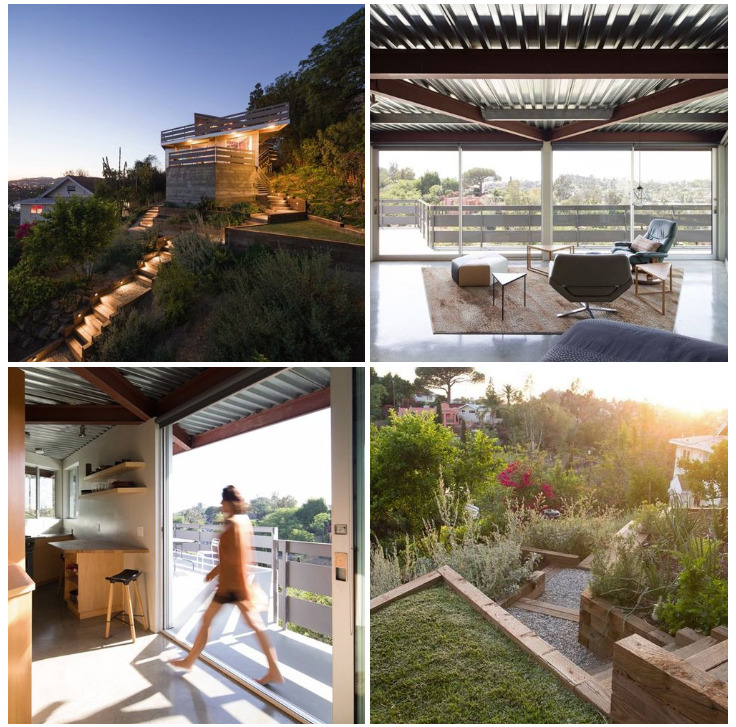 MAPA architects created the prefab unit using a steel frame and sustainable wood and included green space on the roof. Studio Libeskind has architected some of the world's most iconic structures from the Pyramid in Jerusalem, to Harmony Tower in Seoul and One World Trade in New York City. While the Villa doesn’t top the skyline of a global city, its futuristic, eco-friendly design has earned plenty of attention. 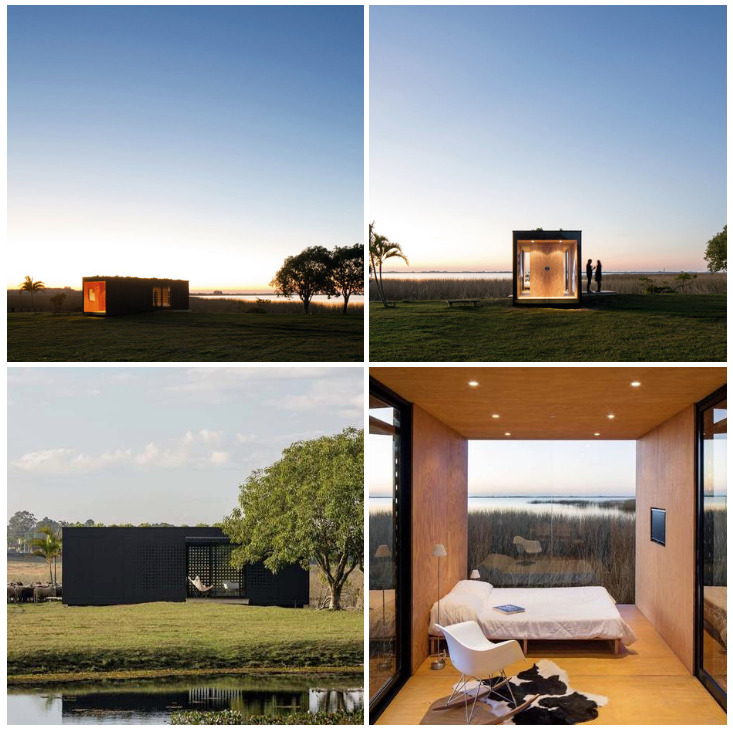 The prefab home design can be delivered nearly anywhere in the world and is assembled within months. It is constructed using sustainable materials and is designed to integrate with geothermal, rainwater harvesting and solar technologies. The Tattuplex is home to Tim Tattu, a buddhist monk and hospice nurse in Los Angeles. From the beginning, Tim’s vision was simple. Sustainability meets style. He tapped Marbletecture to bring his ideas to life and together they shaped this stunning hillside home. The home was built using prefab steel to reduce construction waste and included sustainable insulation and windows to reduce energy consumption. If you are lucky enough to find an open weekend you can rent the Tattuplex on Airbnb to see it for yourself. 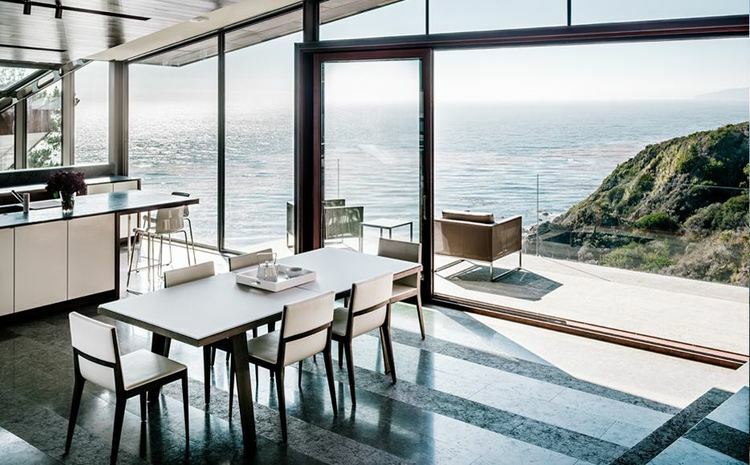 Fall house blends into the Big Sur coast with an effortless modern chic. Fougeron Architecture designed the home with the a full suite of sustainable features including “Low-E” windows, underfloor radiant hydronic heating and non-harmful insulation material. Fougeron Architecture also added natural vegetation to decrease soil erosion and support local wildlife.